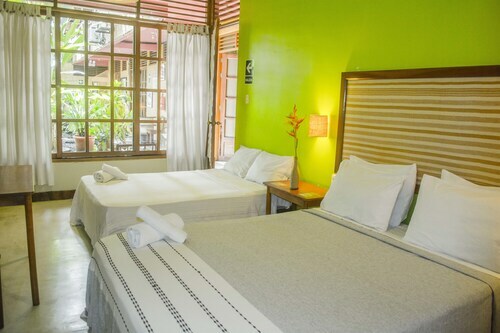 Situated in Tarapoto, this hotel is within 3 mi (5 km) of Plaza de Armas de Tarapoto, Tarapoto National University of San Martin, and Takiwasi Center. Centro Urku and Petroglifos de Polish are also within 6 mi (10 km). 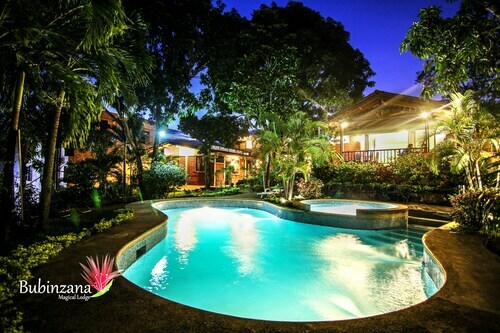 Situated in Tarapoto, this hotel is within a 15-minute walk of Plaza de Armas de Tarapoto and Takiwasi Center. Centro Urku and Tarapoto National University of San Martin are also within 3 mi (5 km). 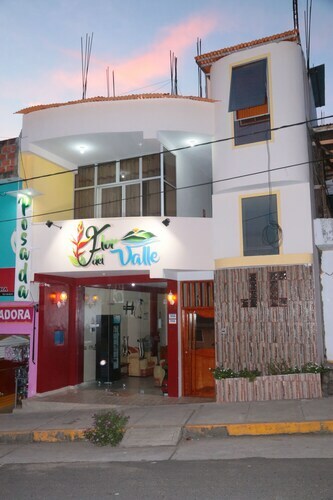 Situated in La Banda de Shilcayo, this hotel is within 1 mi (2 km) of Plaza de Armas de Tarapoto and Takiwasi Center. Centro Urku and Tarapoto National University of San Martin are also within 3 mi (5 km). 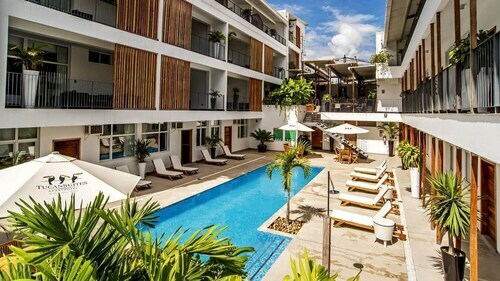 Situated in Tarapoto, this hotel is within 2 mi (3 km) of Plaza de Armas de Tarapoto, Tarapoto National University of San Martin, and Takiwasi Center. Centro Urku and Petroglifos de Polish are also within 6 mi (10 km). 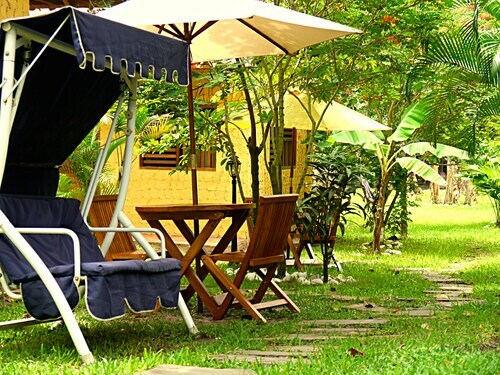 Situated in Tarapoto, this hotel is within a 15-minute walk of Plaza de Armas de Tarapoto and Takiwasi Center. Tarapoto National University of San Martin and Centro Urku are also within 3 mi (5 km). Situated in Tarapoto, this lodge is within 2 mi (3 km) of Plaza de Armas de Tarapoto, Takiwasi Center, and Tarapoto National University of San Martin. Centro Urku is 2.6 mi (4.1 km) away. 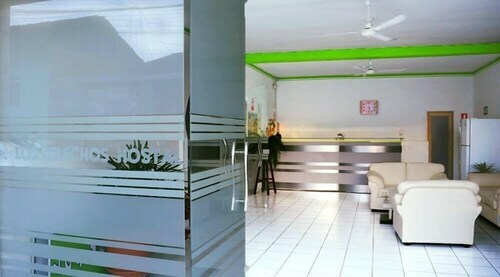 Situated in Tarapoto, this hostal is within 2 mi (3 km) of Plaza de Armas de Tarapoto, Takiwasi Center, and Tarapoto National University of San Martin. Centro Urku is 2.6 mi (4.3 km) away. 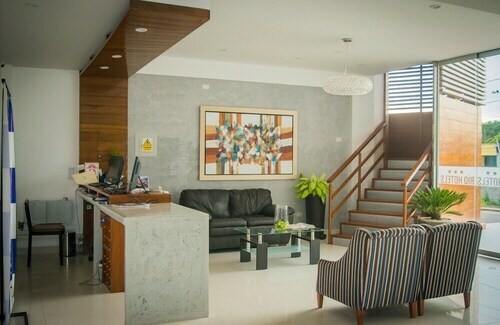 Situated in the business district, this hotel is within 1 mi (2 km) of Plaza de Armas de Tarapoto, Tarapoto National University of San Martin, and Takiwasi Center. Centro Urku is 2.4 mi (3.8 km) away.